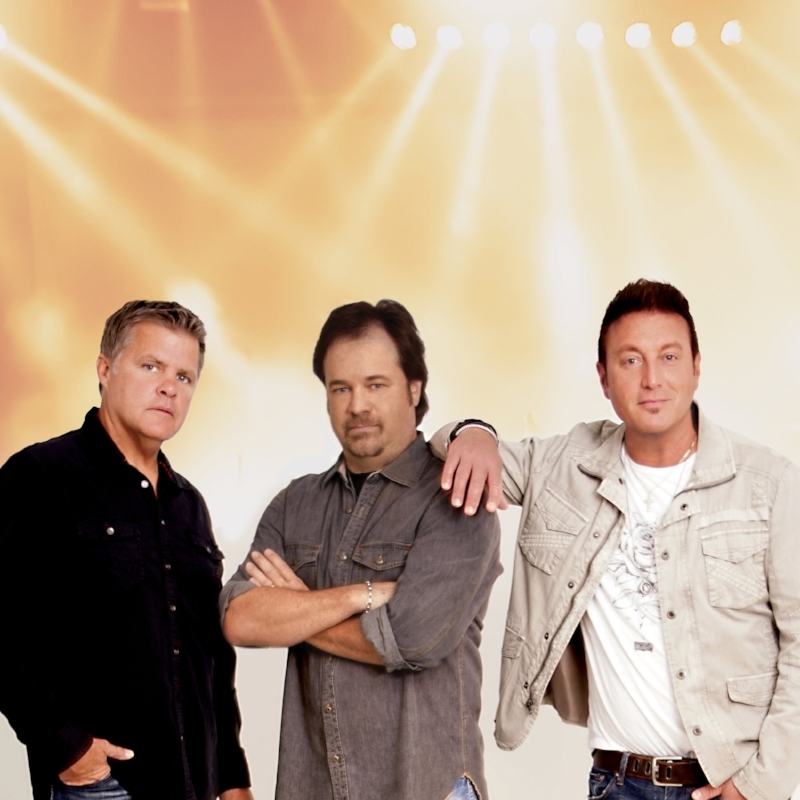 The Frontmen features three singers who were THE voices of three of the Top Country bands of the 90’s: Larry Stewart of Restless Heart, Tim Rushlow, formerly of Little Texas, and Richie McDonald of Lonestar. With their combined amazing vocal and instrumental talents, The Frontmen deliver a high energy show packed with fan-favorites from their three award-winning and critically-acclaimed bands, and also songs from some of the artists who have influenced them. The Frontmen deliver a truly one-of-a-kind concert experience. Their stage is a place where they take you on a magical journey to the stories behind the songs. A place where the listener’s heart meets the singers’ hearts who made the songs famous, with an emotional impact that leaves audiences spellbound. The Frontmen deliver a show that is powerful, engaging, and authentic. From their rave review performances around the globe for our troops, to casinos, fairs and corporate events, to their globally televised performance on the steps of the hallowed Lincoln Memorial in Washington, DC, The Frontmen are making their mark as the newest Country Supergroup of our generation. Stewart, Rushlow and McDonald have collectively sold over 30 million records and had over 50 top 40 hits between them. They have a chemistry and brotherhood seldom matched and they have logged the travel miles to prove it, wowing audiences around the globe with their brand of highly successful intimate unplugged shows.